Freshman Orientation Sign Up Contact Us Need a Mezuzah? 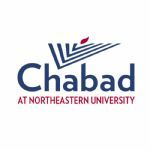 Join us as we celebrate the Exodus from Egypt at the Chabad at Northeastern Pesach Seders. Enjoy a family style Seder complete with handmade Shmurah Matzah, the Four cups, delicious meal, insight and inspiration. As space is limited and extensive preparations must be made, we ask that you please reserve ASAP for either one or both Seders. The Second Seder is Limited to 30 spaces. We can only host the first 30 students who sign up! The suggested contribution per Seder is $18. YES! I'd love to pitch in and help prepare for the Seders. Please contact me to arrange timing.